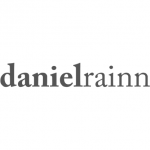 Daniel Rainn is a contemporary brand well known for its chic and modern style. Its designs have been sought after nationwide by fashion leaders. The company is looking for an individual with great energy and a keen sense of fashion who works well with others, strive to continuously learn and grow within the company. Help complete accurate and timely paperwork, reports, recaps, itineraries, timesheets, expense reports, etc.